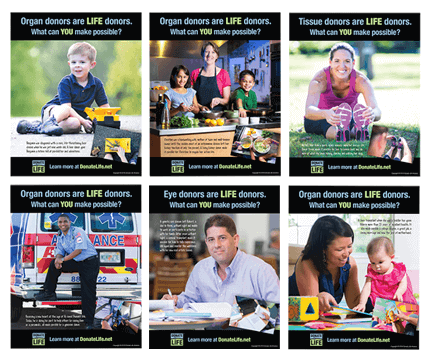 Incorporate print advertisements in your materials to promote organ, eye and tissue donation in your community! Click on the links to view and save as high resolution PDFs. These downloadable ads are 4×5 inches. Ads are also available in 8×5 inches and 8×10 inches. Contact VGray@DonateLife.net for more information.